Hi, Karina! Welcome back to Watch. Connect. Read.! I’m so excited to spend more time with the Vanderbeekers! What are Isa, Jessie, Oliver, Hyacinth, and Laney up to in The Vanderbeekers and the Hidden Garden? Karina: Hi, Mr. Schu! I’m thrilled to be back; thank you for having me! 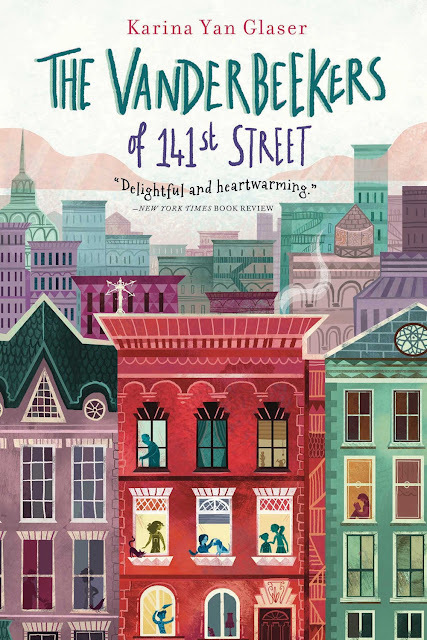 The Vanderbeekers and the Hidden Garden is set in the summer, six months after The Vanderbeekers of 141st Street. Isa is away at a sleepaway music camp, and the rest of the kids are wilting away in the New York City heat. 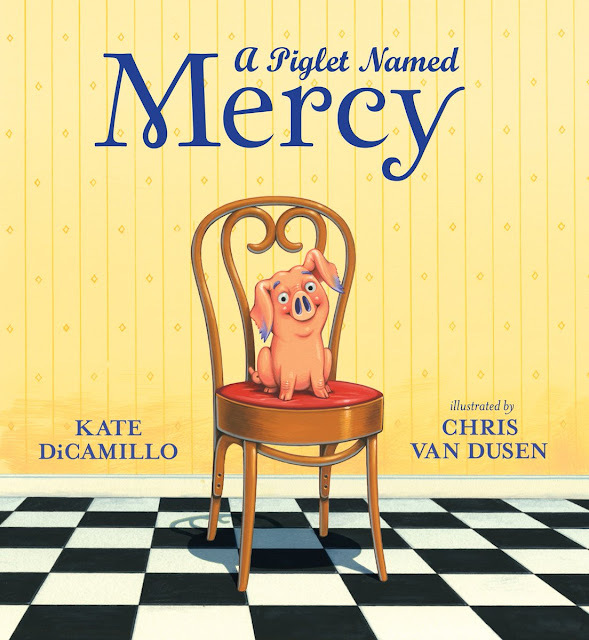 But when catastrophe strikes their beloved neighbor, their sleepy summer transforms in an instant. To keep from being consumed by worry, they plan the best welcome home gift for their plant loving neighbors: the Vanderbeekers will convert the eyesore of 141st Street—a small piece of land that has been abandoned for decades—into a community garden. But creating a garden from scratch is not as easy as it seems, especially when there’s a giant “NO TRESPASSING” sign hung on the locked metal fence and the land itself is filled with trash and weeds. Can the Vanderbeekers grow a garden in the unlikeliest of places? Please tell us about the scene Karl James Mountford illustrated for The Vanderbeekers and the Hidden Garden’s cover. Karina: In this scene, Jessie, Oliver, Hyacinth, and Laney are about to enter the abandoned lot that they wish to transform into a community garden. What will they find inside? How will you celebrate The Vanderbeekers and the Hidden Garden’s book birthday on September 25, 2018? Karina: If the day is anything like when The Vanderbeekers of 141st Street came out, I will be up to my elbows in flour, sugar, and butter. I think I baked three-hundred cookies for my last book launch party, and I hope to do the same for this new book! I think a lot of problems can be solved by sharing cookies. And books, of course! School libraries are what saved me. My family moved a lot when I was growing up, and I changed schools six times by sixth grade. Thankfully, I always found familiar and friendly faces within the bookshelves inside of school libraries. I could pick up E.B. White’s The Trumpet of the Swan and find a fellow misfit in Louis. I could open E.L. Konigsberg’s From the Mixed-Up-Files of Mrs. 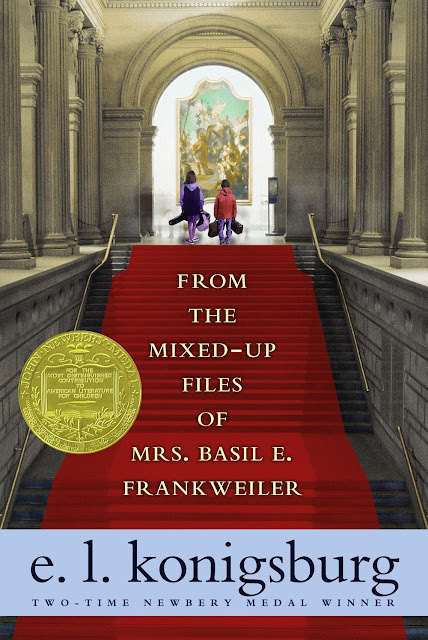 Basil E. Frankweiler and imagine I was running off to the Metropolitan Museum of Art with Claudia and Jamie, finding strength in their bravery, independence, and ingenuity. With each new school I entered the doors filled with uncertainty and fear, yet I knew I could always find a place of belonging and rest in the school library. Reading is my favorite thing to do! Mr. Schu, you should have asked me about my pets! Like the Vanderbeekers, my family has a dog, a cat, and a rabbit. My pets are the best co-workers! I walk my dog Ginger Pye every morning, and those walks help me think through whatever story I’m working on. I get my best ideas while on those walks. My cat Nala keeps me company by sitting on my arms when I’m typing away at the computer (that way I can’t procrastinate and bake or eat chocolate when I’m supposed to be writing). Our rabbit Izzy helps me choose out what books to read next; she is the master of my TBR book pile and has impeccable taste. 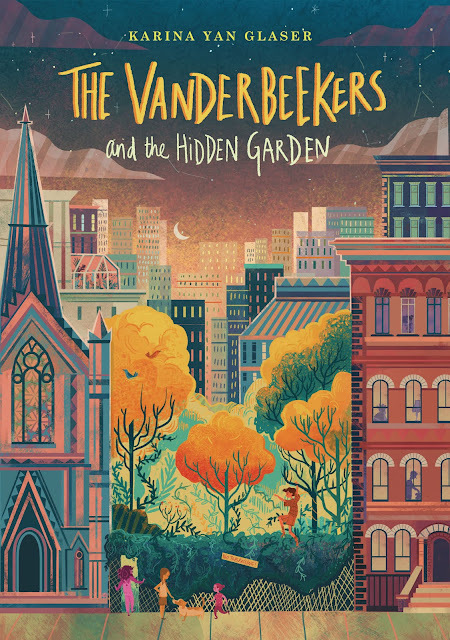 Look for The Vanderbeekers and the Hidden Garden on September 25, 2018.